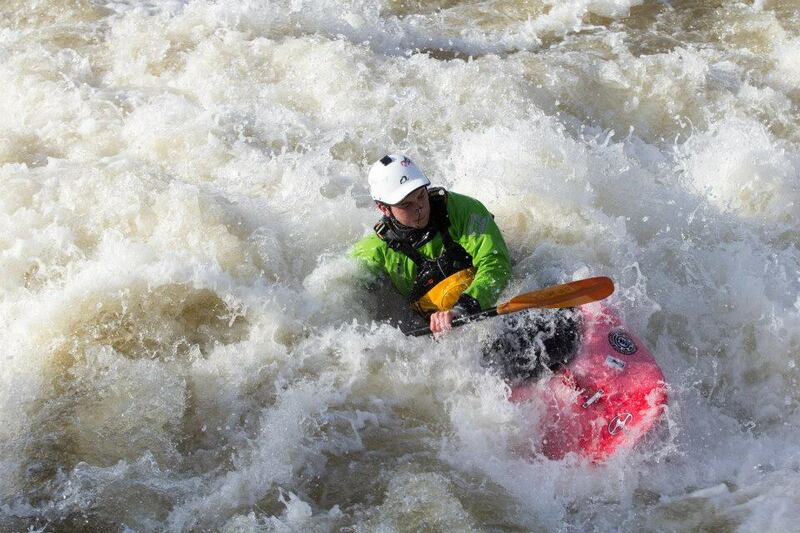 I’d done a few flatwater sessions on school activity weeks, but not much at all and no whitewater. I’d enjoyed the kayaking I’d done and wanted to join a kayaking club before. When I went on the Freshers’ taster session at the start of uni and saw how active and friendly the club was, I knew I definitely wanted to join. I think the Tryweryn trip near the end of the year was my highlight. A weekend of kayaking and camping was a great way to end exams and also to see how much I’d improved over the year. That’s a tough decision. I’ve enjoyed a lot of different things throughout the year, whether it was a trip to Cardiff and doing better than expected, going for a relaxed paddle down to Double Locks for a drink, or even doing my first roll in the pool, it’s all been great. Yes, 5/6 years of experience before- some whitewater courses but mostly flatwater playboating and learning paddling skills. Because I love boating! The opportunity to paddle Dartmoor’s brilliant local rivers. It has to be Pots! 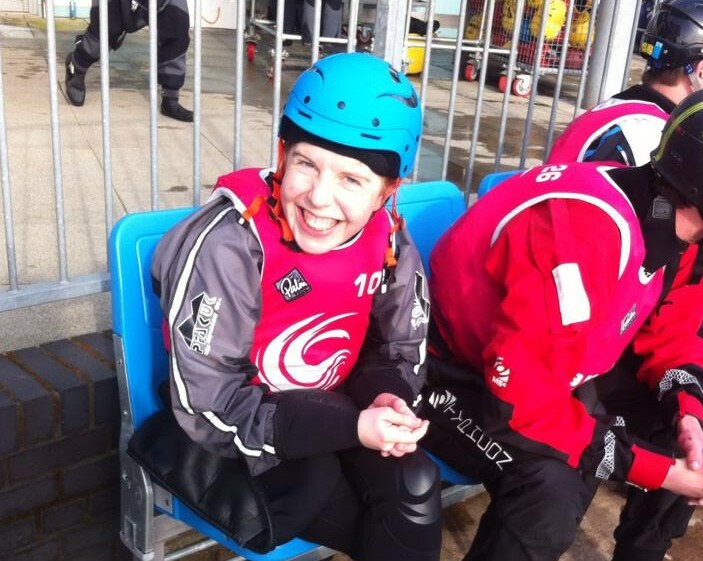 The chance to compete is awesome but it’s mainly for fun which is great! Plus there’s a great party afterwards. The alps is always an amazing trip, paddling everyday in the mountains which are beautiful and watching people improve is really great. Also there’s some cool socials and other activities not to be missed. Nope, never been in a kayak before. I’d heard so many good things about the club and I wanted to try something new in freshers week, did the taster and absolutely loved it (despite being really useless). There’s so many amazing events it’s hard to choose! I think the alps trips have been my favourite as it’s a great chance to get away, do lots of paddling and work on your skills no matter what level you are. My best experience has to be my first ever river roll, I got my roll in the pool quite early but it took a long time for me to manage it out on the river (I’m talking years!). Every time I manage to come back up again it’s always a massive confidence boost and a bit of surprise. Nope, I had never kayaked on white water before joining the club. The only time I had ever even sat in a kayak was on a lake with school. I joined on a whim. In my freshers week I had no intenetion of joining any AU clubs, but signed up for a taster session with my friends from halls anyway. Needless to say I was hooked and haven’t looked back since. 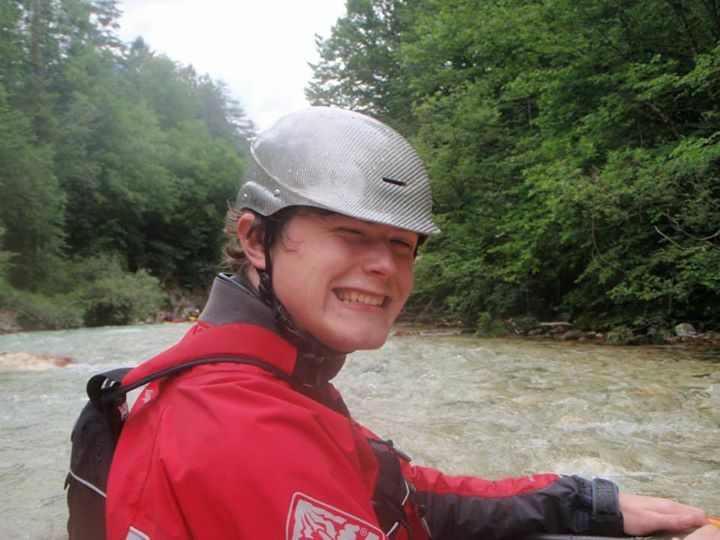 I can say without hesitation the alps trip is the highlight of the canoe club calendar. Two and a half weeks with amazing people, stunning scenery and world class kayaking. It just doesnt get any better than that. I’m going to be greedy and pick two, because canoe club is just that good! Number one of my two best experiences in canoe club would be my first river roll. I am yet to achieve anything that felt quite as satisfying as that moment of triumph. Not only was that a major milestone in my kayaking career, but it gave me a huge confidence boost, making me less scared to try new and more intimidating things on a river. Knowing you are able to roll up instead of bobbing off down a river seperated from your boat just makes everything more fun. The second best experience of mine was paddling my first grade 4 river. Although I wouldn’t have said it at the time of paddling it (due to being a nervous and overexhausted wreck) conquering and dry heading my first real taste of grade 4 was yet another confidence boost. Being the second major milestone of my kayaking life it will hopefully lead me to new and exciting adventures. Not really – a couple of day trips on the sea but nothing serious. 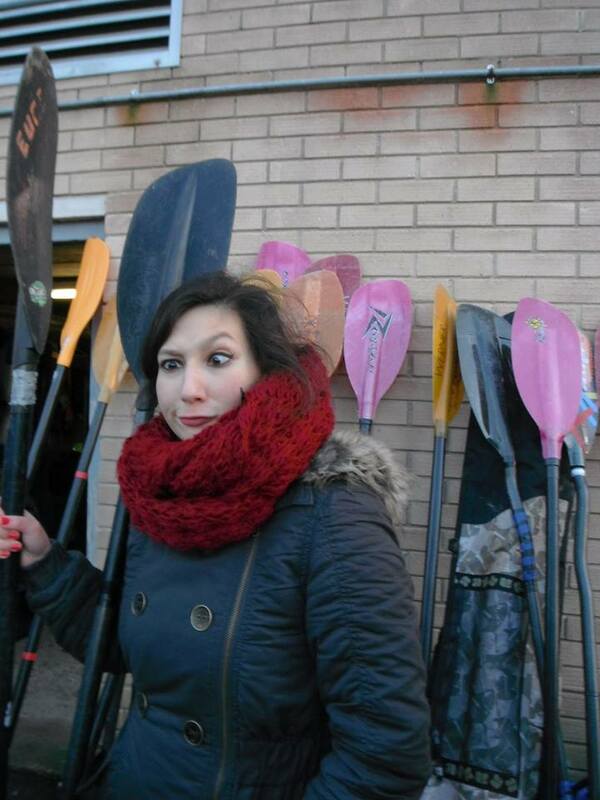 My housemate was a kayaker and I thought it looked fun. I also thought I needed an activity to do that would get me outside and not at the desk! I’m really looking forward to Polzeath. It’s a fun weekend and a good way to get to know the new members. That kind of surf kayaking is a laugh – especially if you don’t know what you’re doing, plus there’s always the beach to enjoy. It’s hard to say what the absolute best experience has been but I’ve really enjoyed paddling new rivers ike the Middle Tavy this year. 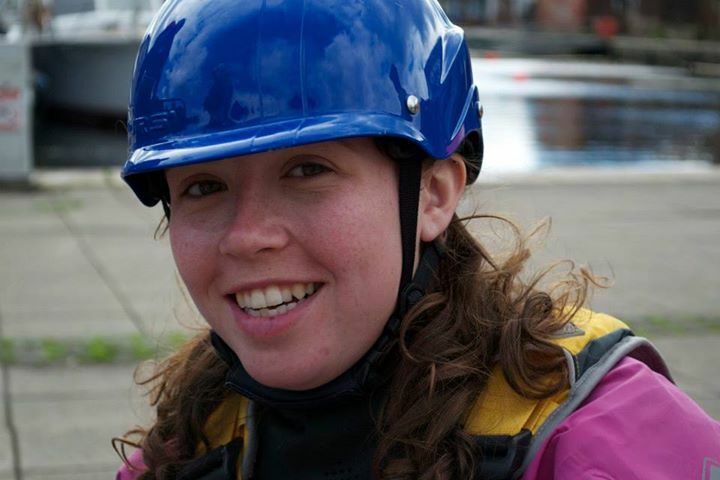 I didn’t have any experience of whitewater kayaking before joining the club in my second year at Exeter but I had kayaked on canals and lakes before! 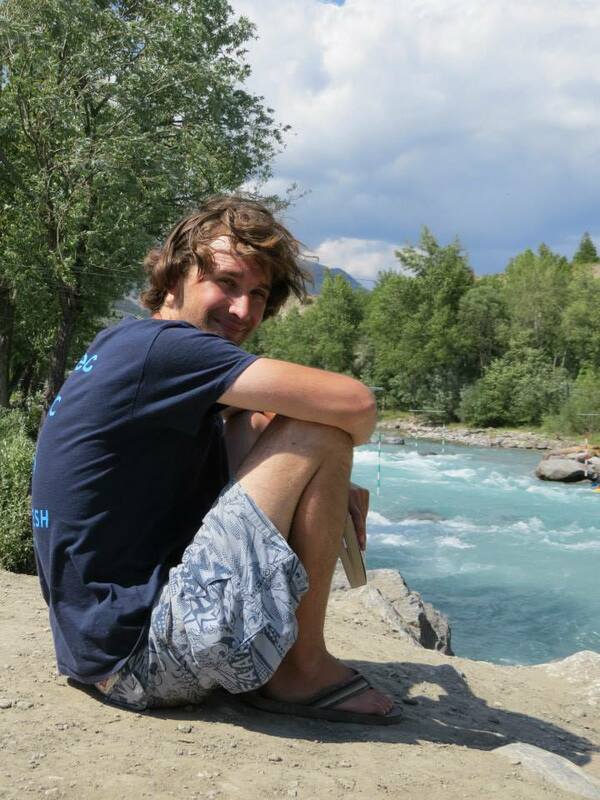 I wanted to learn how to whitewater kayak because it is badass and has become my way of life! Either Polzeath weekend or Ex-members weekend! And Alps of course! Social-wise my best EUCC experience must be Ex-members weekend in my first year in the club. A weekend of revelry with the General. Kayaking: just getting on the water and being in current!